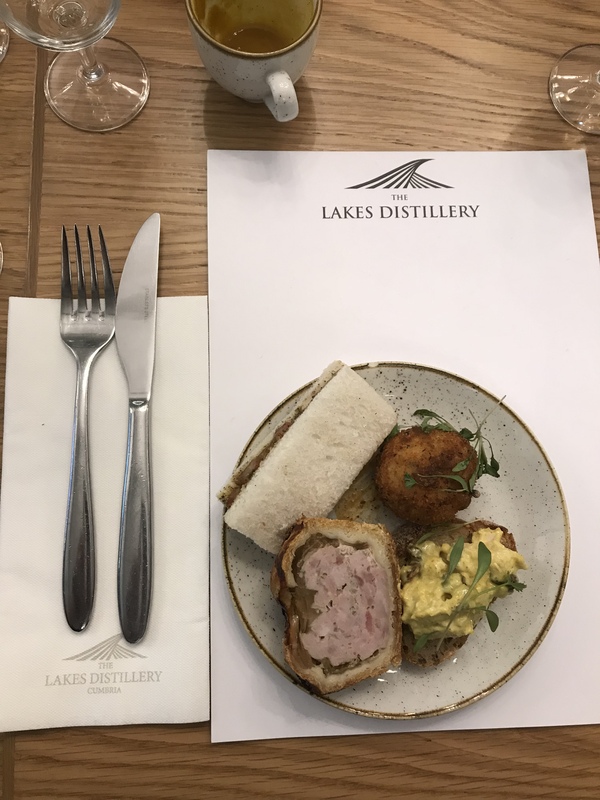 When M + T merrily agreed to visit the Lakes Distillery (“TLD”) for their bloggers event, we were slightly unsure as to what to expect. After all, TLD is still a baby in the world of whisky, so what would we be tasting/discussing? Well the honest truth is…a bit of everything! 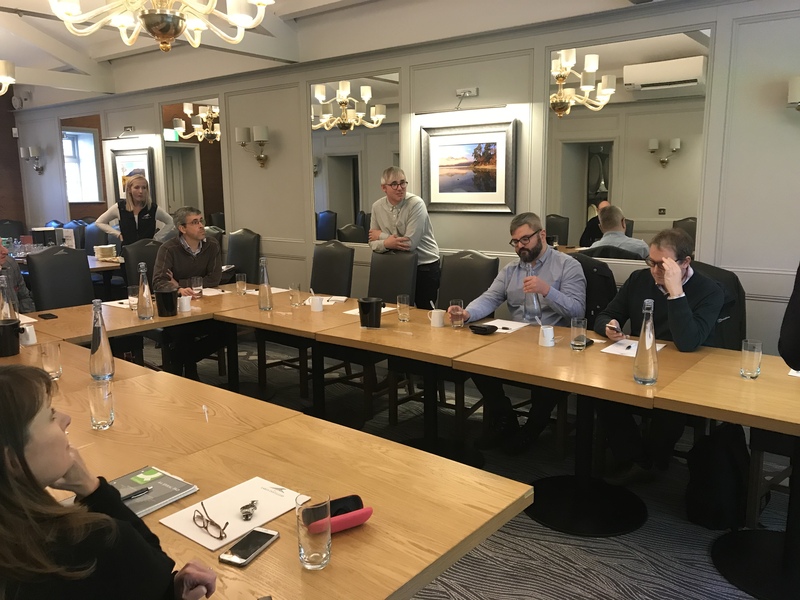 TLD are very welcoming hosts: drinks and lovely canapés were served upon arrival as introductions were made and then, it was down to business! We were treated to a brief history of the distillery, how it came about, and the people behind it. Soon, TLD’s chief “whisky maker”, Dhavall Gandhi, sparked a conversation around the products themselves–it’s fair to say that people have a slightly confused view of TLD and their products, but, it’s also probably fair to say that TLD are aware of that and are on the road to fixing it. In terms of what we tasted, I think it’s best to start with their new make spirit, the lifeblood of any whisky. Nowadays, every distillery in the world tells their punters proudly that “their spirit is the purest and the best” yeah yeah we know, we geddit….best water source etc. blah blah. There’s none of that here at TLD, it’s much more of an open forum of “what do you think”. In response to that, as far as new make goes it’s good stuff –not paint stripper, not hooch made by the local scally, but good quality spirit. It’s got plenty of fruit tones going on, fairly hot…warming and grainy. A good base to start from? Definitely! What’s more though is that TLD has not stopped there. Via some experimentation (despite claiming not to be a scientist), Dhavall has built up his ideal base liquid, by creating 3 different new makes per week, each based on its own separate yeast strain, each having a 96 hour fermentation and then vatting the whole lot for the barrels. Pretty unique, right? Where does it go from there? Previously, I think there has been a lack of clarity within TLD but now, its new direction is clear: it’s all about the sherry casks. 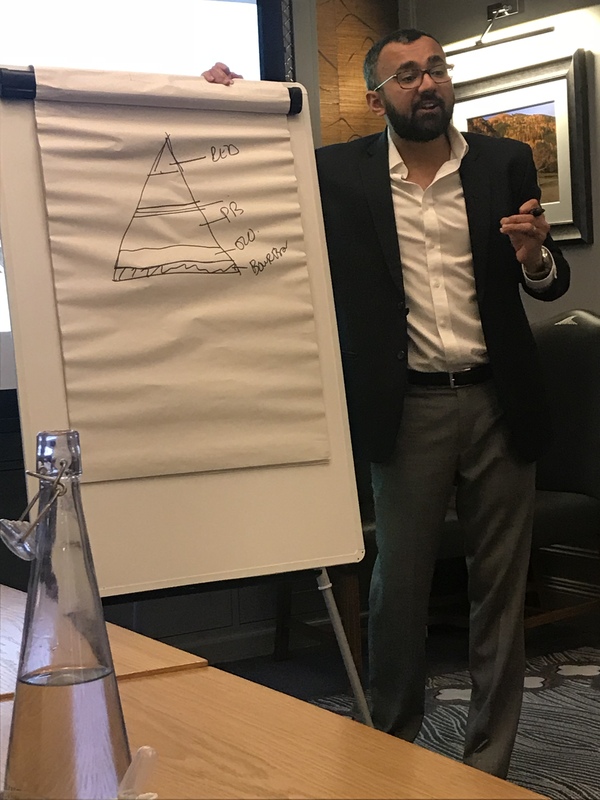 What we witnessed was Dhavall being super passionate about this and much time and insight was given to the attendees about this choice. 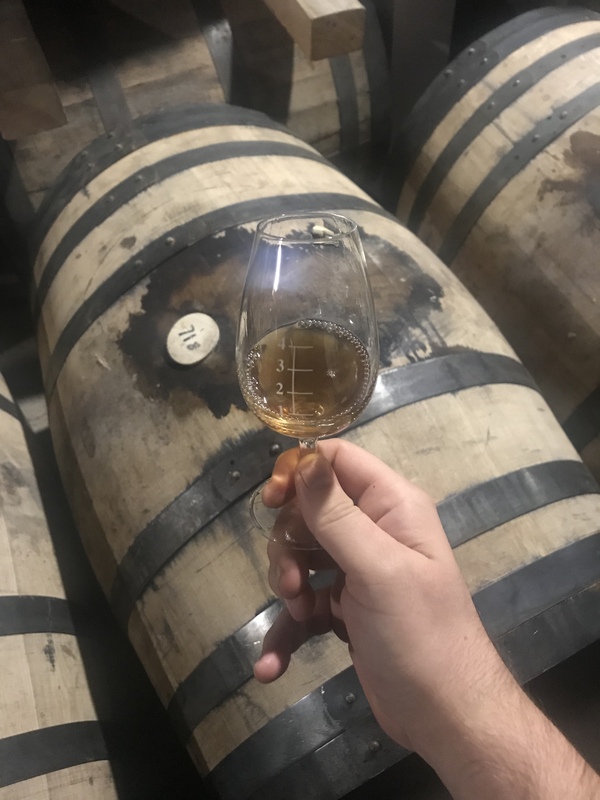 We were given different samples, some of the age to be called whisky, some not; but along the way a structure and form is developing that demonstrates that TLD spirit and sherry casks are good bed fellows that could ultimately make something pretty magical in the not too distant future. On the topic of magic, we were also treated to a little dram that has been doing time with ex-port casks and my notes from this simply say ‘one to watch in the future’, you’ve been warned, it’s a goody! Now that word ‘future’ is really why we were all present at the distillery (so to speak). It’s plain to see that general opinion needs to be changed. Who is the TLD customer? Those whisky mafia types who see whisky as a vanity investment project? A tourist trap? Or just the confused buyer not understanding what the hell is going on with blends being released every day of the year? You can almost hear people saying “when they make whisky at TLD, why are they blending?”. If there was a fast forward button I think TLD would press it instantly to be 10 years ahead; they’d have a core expression and loads of scope to try smaller batches of experiments and new blends, etc, and all would be well and life a bit easier. Sadly, we live in a world where that isn’t possible yet, though I bet someone is working on an app for it somewhere! A narrowing of focus and buyer education is what’s needed and, from the sounds of things, that’s what’s happening at TLD. There’s passion, pride, bounds of creativity, enthusiasm to boot and good products going on. But in my humble opinion that’s not quite enough; the whisky market is a tricky beast and being all things to all men and women everywhere never quite hits the mark. So, having now seen this passion first-hand and tasted what is to come, how would I describe TLD to a newbie…well how about this? 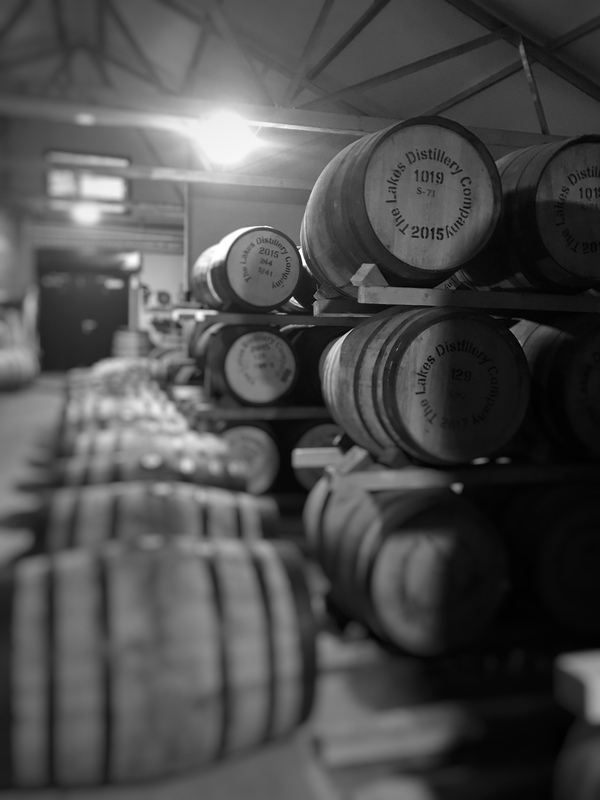 Born out of passion for spirit and place, TLD is an English whisky maker to watch. The single malts are coming, marching along one year at a time in some of the best countryside England has to offer. The team’s creativity, passion for process and unrestricted approach to adding flair to the flavour of their single malt whisky is exciting and going to be worth that wait. But why wait when there’s some very interesting blends happening right now! Yes, a single malt maker can also be proud to showcase their skills with their own blends brand. These blends TLD are producing are a good signpost to the skill being displayed and the quality being strived for at TLD. It’s fair to say that, for whisky enthusiasts like us, being in a distillery tends to make us feel like kids at a chocolate factory, but when Dhavall got into full swing, it really did feel like being given the keys and being shown around by Willy Wonka himself. Exciting this, experiment that. Try some of this cask… wow! But…the ambitious mission statement of “we want to be a world whisky” was thrown out to the bloggersphere attendees. I get it. It’s a luxury market that everyone wants a slice of, but I just don’t think there’s a shortcut to get there. You can be represented by duty free shops with special travel ‘this and that’, but without that core expression to backup your credentials, it feels like a bridge too far right now and I think this applies to pricing too. 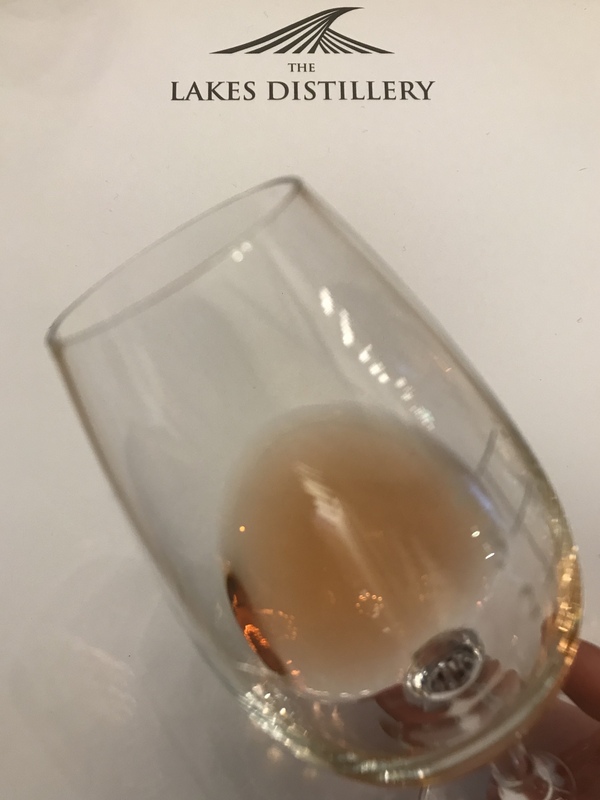 Keep blending, there’s some great stuff happening, which people will love to drink, but be clear on why you’re doing it and educate as to why–then people will get it and embrace it. If any element of the passion, knowledge and ambition that we had seen at this event was present in their new releases’ promotion then we know that the bottles would fly off the shelves. An emphasis on honesty, transparency and provenance in a market that is continually shrouded in darkness and mysticism will surely light the way. And why not? TLD has everything going for it. It’s in a stunning location, the site is beautiful and interesting, even to the whisky bore. The quality and passion is there, but like the landscape around the distillery that took millions of years to render so beautiful, time is the component that will make TLD products a world player, not fancier boxes, elaborate ideas or hefty prices. TLD is already standing out in the world, it’s all there everyone, just look out the windows! We’d like to thank TLD for the opportunity to attend their event, and for giving us the insight into what is to come. 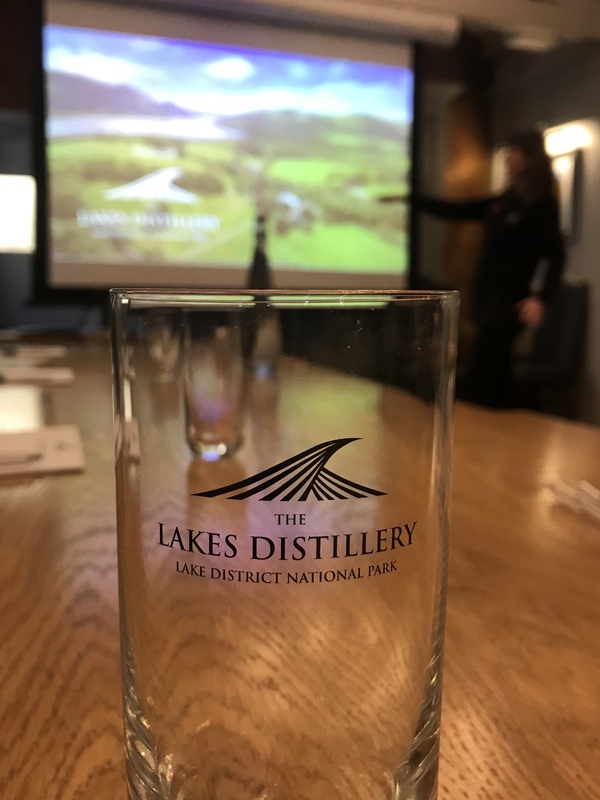 Not only was it a flattering compliment to invite us but it also emphasised TLD’s eagerness to reach out, be honest, obtain feedback, learn and ultimately help the fledgling distillery spread its wings and fly out into the whisky world. Special thanks to Karen for organising, Kirsty for educating, Dhavall for the knowledge and Amanda for her assistance and shimmying up the casks!